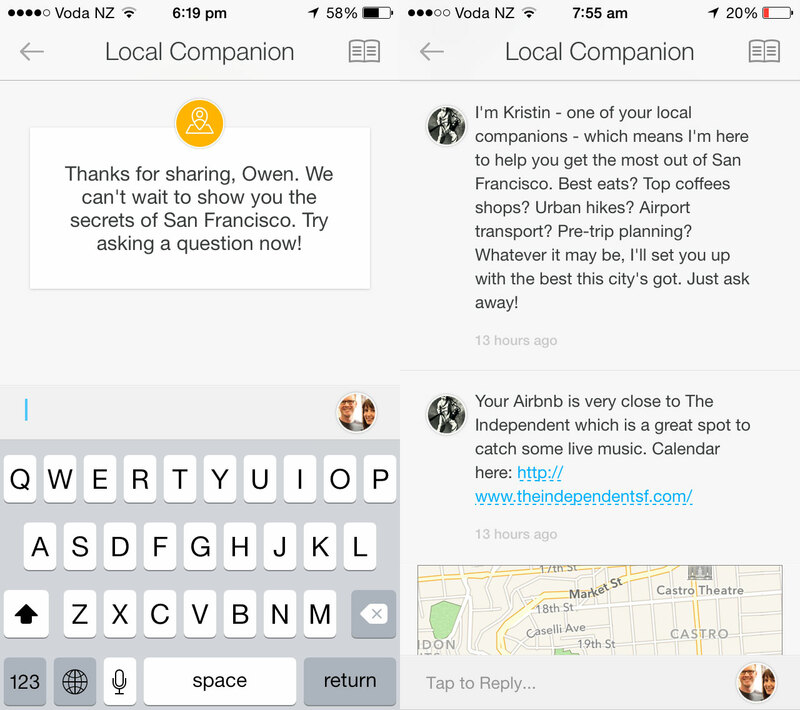 The feature, which only appears for people who are invited to a private beta, appears in the Airbnb inbox for iOS and allows you to ask any questions, like a concierge service but instead connects you to normal people at your destination. From your Airbnb inbox, you’re able to ask anything such as “where’s the best place to eat” or “can you get me tickets for the sold out Oakland A’s game tonight” and the new service pledges it’ll do its best to get you what you want. 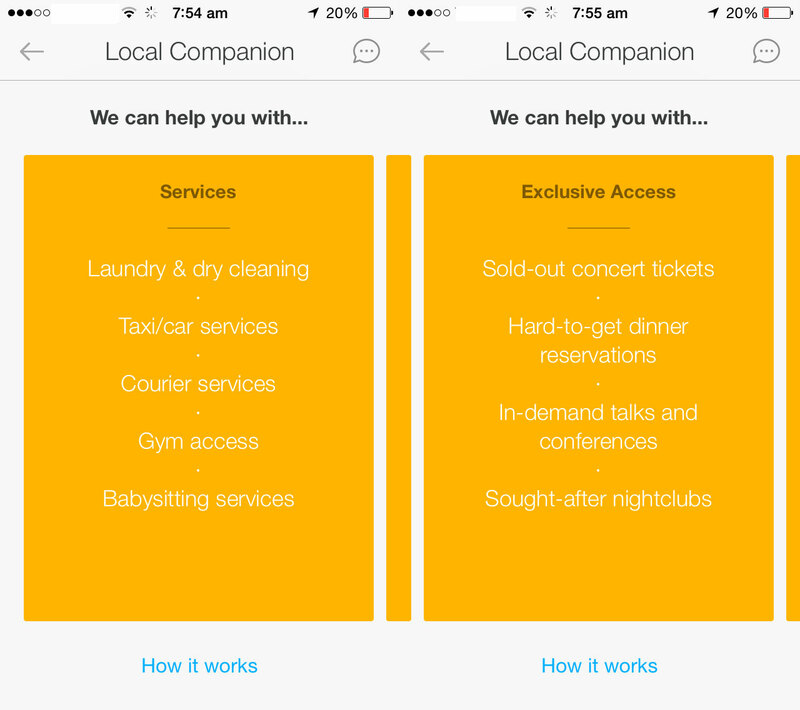 Local Companion is free and only works in San Francisco at the moment, but the service does offer the ability purchase items for you inside the app using your credit card if you approve. If you requested tickets to a game or a movie, the service would simply ask you to approve the charge and it would be done using the credit card you have on file. The service’s examples page says that it can offer a number things, as detailed in the screenshots below. Recommendations using the service are great, too. 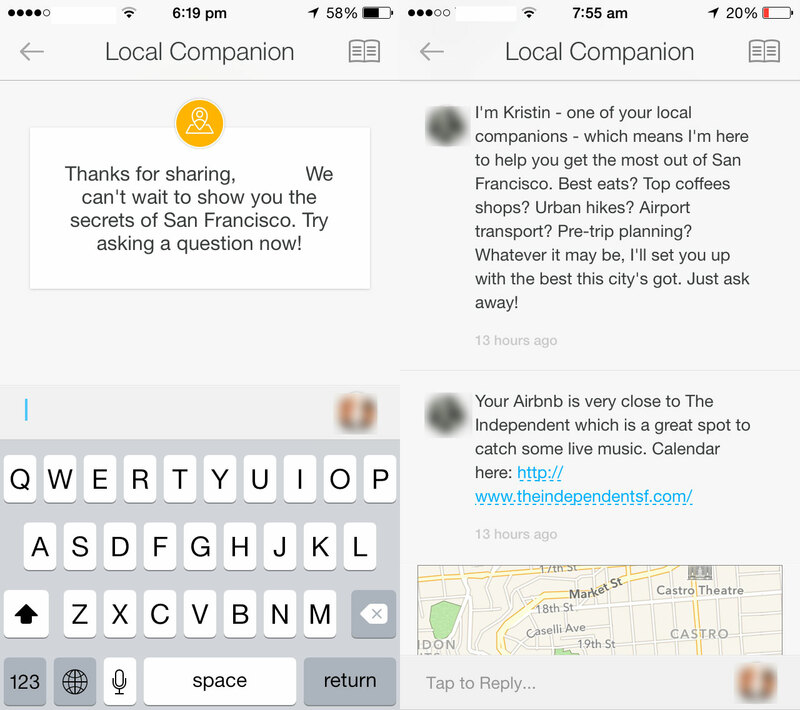 After you opt-in to sharing your location, local companion automatically kicks off the process by getting someone in the city to recommend something to do or see near where you’re booked to stay. After that, you can ask almost anything and the people on the other end will answer within a few hours. Often you’ll be paired with several separate local companions over the course of a day, as the service finds someone who is free to answer your questions. It’s not clear how Airbnb finds these people yet, but it seems likely it pays them a small fee for answering questions. 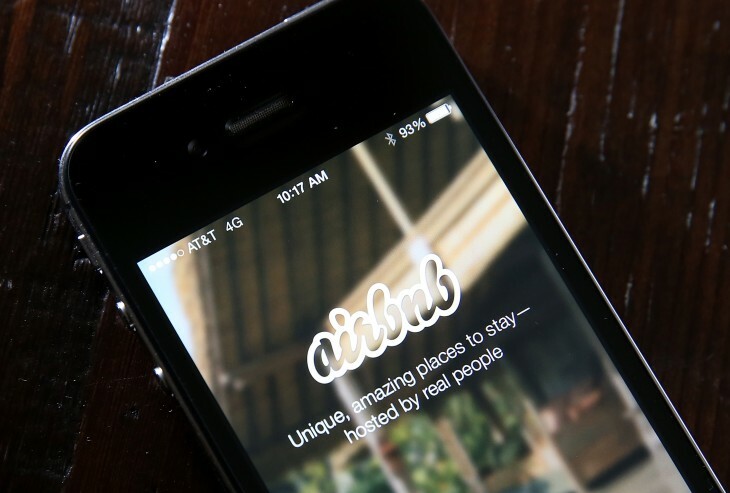 Airbnb has provided a phone-in concierge service since 2011 that allows users to call a hotline and get connected with someone in the area, but the in-app experience is brand new and much easier to use, with rich map support and incredibly responsive locals on the other end. It’s not clear when the new feature will be available for all, with the instructions pointing out that it’s being shared with “select travelers” and is in beta phase so that it can be improved based on user experiences. 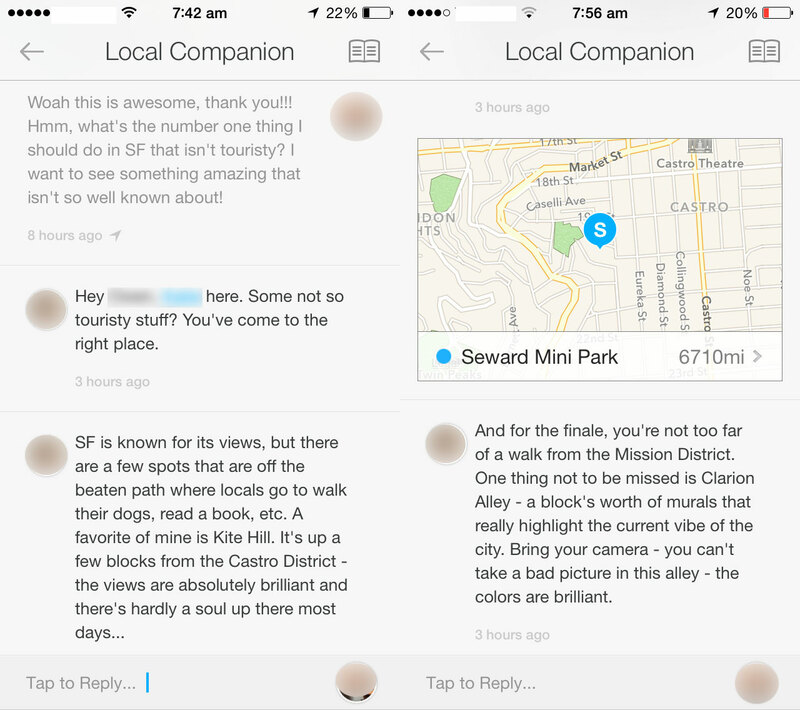 If Local Companion does launch for all, it’ll be a great way to get the best insider knowledge when you’re visiting somewhere new.